If you are receiving care or support from us please see our Privacy and Protection Policies here. You may give us your information in order to sign up for one of our events, tell us your story, make a donation, purchase a product or communicate with us. You may provide permission for third-party organisations to share your data with other third parties, including charities. You may do this when you buy a product or service, register with a website that runs competitions or register with a comparison site. Your motivation for giving, including whether this relates to any personal experience of Woking and Sam Beare Hospices. We will never make this question mandatory, and only want to know the answer if you are comfortable telling us. To give you the information, support, services, or products you ask for. To gain a full understanding of your situation so we can develop and offer you the best possible personalised services. To keep a record of your relationship with us and for internal administrative purposes (such as our accounting and records), and to let you know about changes to our services or policies. To carry out statistical analysis and research in order to help us to understand how we are performing and how we can improve our services and meet the needs of people that require our help. We may also use your personal information for other purposes, which we specifically notify you about and, where appropriate, obtain your consent. To process and acknowledge your donation, sponsorship or gift aid. 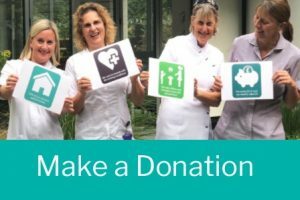 Contact you about making a celebratory gift, donating in memory, leaving a gift in your Will, or to give you details of other ways to support or fundraise for Woking and Sam Beare Hospices that you have expressed an interest in. We may send the following information by e-mail, if you have given us your consent; updates on our work, news, fundraising appeals, lottery, shops, volunteering opportunities and events. Whatever it is about Woking and Sam Beare Hospices you are interested in, we really want to be as tailored as we can in our communications to you. We also want to speak to you in the way you'd prefer - be it by email, on the phone or in writing. To help us do this, we will sometimes analyse things like what you are interested in and where you live to help us engage with you in a meaningful way. 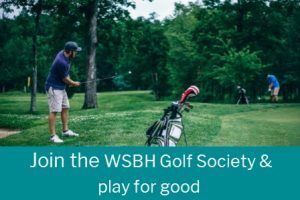 This is important because it cuts down on broad-ranging communications and helps us ask for donations or give information based on what we know you would like to hear about. This means that when we need to approach supporters for donations, we do it ethically and cost effectively by asking the right people and organisations at the right time. it is necessary for us to be legally compliant for processing Gift Aid with HMRC and with the Gambling Commission for our Lottery and Raffles. there is a legitimate interest to do so e.g. to continue our existing relationship, in order to ask for your support and process donations for our Charity provided you haven’t requested we don’t contact you. In this way we are providing ongoing awareness of our fundraising journey. With your consent or on the basis of legitimate interest we may use your information to send you communications about our work and how you can help us to help you, for example, information about our campaigns, volunteering and fundraising activities and how you can donate to us. Occasionally, we may include information from partner organisations or organisations who support us in these communications. Our forms have clear marketing preference questions and we include information on how you can say no to such marketing. We do not sell or share personal details with third parties for the purposes of marketing but we may sometimes share your information with our trusted service providers for the purposes of printing and distribution of communications to you via our approved preferred supplier and/or if you attend an event run in partnership with another named organisation your details may need to be shared. We will be very clear what will happen to your data when you register. When we collect your personal information we use strict procedures and security features to prevent unauthorised access. However, no data transmission over the Internet is 100% secure. As a result, while we try to protect your personal information, Woking and Sam Beare Hospices cannot guarantee the security of any information you transmit to us and you do so at your own risk. You have the right to know what we know about you, make changes to your information or ask us to stop using your data. If it's not necessary for the purpose you provided it to us for (e.g. processing your donation or registering you for an event) we will do so. You also have the right to ask for a copy of the information we hold about you. If you spot any mistakes, please let us know and we will correct them. 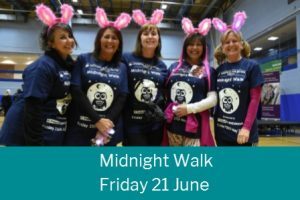 Woking and Sam Beare Hospices, Goldsworth Park Centre, Woking, Surrey, GU21 3LG. We do not accept these requests by email. If you have any questions or concerns please contact us by emailing info@wsbhospices.co.uk or call 01483 881752. You can also write to us on the above mentioned address. We really appreciate it if could you let us know when your contact details change. 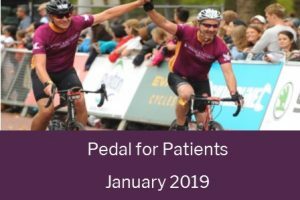 Contact us by emailing fundraising@wsbhospices.co.uk, call 01483 881752 or write to us at: Woking and Sam Beare Hospices, Goldsworth Park Centre, Woking, Surrey, GU21 3LG. Like most websites, we use 'cookies' to help us make our site and the way you use it better. Cookies mean that a website will remember you. They're small text files that sites transfer to your computer (or phone or tablet). They make interacting with a website faster and easier, for example by automatically filling your name and address in text fields. In addition, the type of device you're using to access our website or apps, and the settings on that device may provide us with information about your device, including what type of device it is, what specific device you have, what operating system you're using, what your device settings are, and why a crash has happened. Your device manufacturer or operating system provider will have more details about what information your device makes available to us. Our website uses a cookie for Google Analytics. It does not capture or store personal information, but merely logs the user's IP address which is automatically recognised by the web server. This is used to record the number of visitors to our site and volumes of usage. If you do not wish to accept cookies on to your machine you can disable them by adjusting the settings on your browser. However, this will affect the functionality of the Woking and Sam Beare Hospices website. Find out more about cookies, including how to turn them off. on www.aboutcookies.org. We would like to keep in touch with you about our work, our fundraising appeals, events and other opportunities to support us. Please tell us how we can keep you updated by letting us know what you'd like to hear about by filling in our online form here.